Perhaps the best-known flying cars have been Chitty Chitty Bang Bang and Marty McFly’s De Lorean. However, with the latest technological advances, the reality of being able to ride in a flying car is becoming closer than ever before. 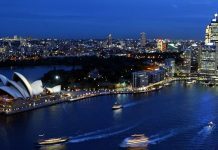 A flying car would represent a wonderfully convenient way to get around, especially for commuters who dread getting behind the wheel to head into the city. 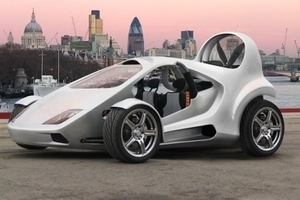 If a car was capable of levitating over congested roads, how much faster would you be able to get to your destination? With commuting times longer than ever and so many exciting advances in technology over the last few years, we might be asking ourselves why there are no flying cars yet. With more than 2,800 minor airports that are barely used across the United States, the idea of flying ourselves in our own personal vehicles to our chosen location may not be an idea that is too far-fetched. 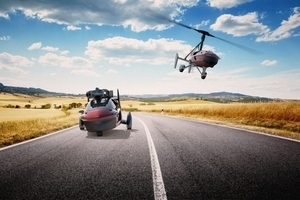 In fact, there are several companies that are working on what could be termed flying cars right now, and although none of the models created so far has reached commercial success, the fact remains that the idea is still in full swing. 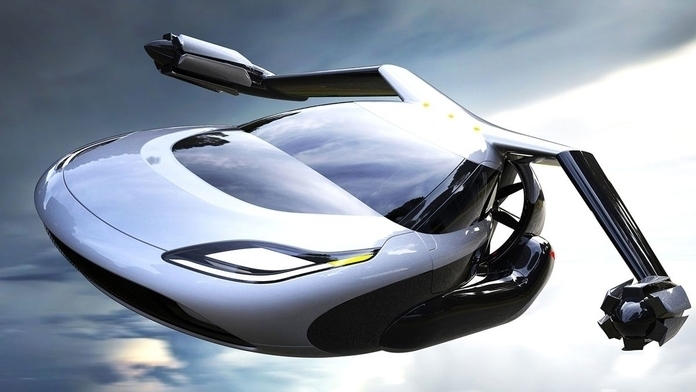 Advances in designs, lighter materials, electronic aids for flying, and changes to government regulations could mean that this is the decade when flying cars eventually appear for sale to the general public. Here, we’ll look at some of the prototypes and tests that are underway and could prove promising for those who long to fly rather than drive. 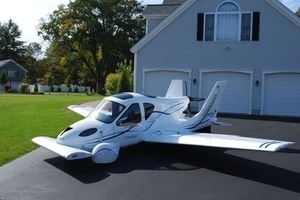 The Terrafugia Transition aimed to solve the problem of wings by folding them up. This four-wheeled vehicle features double-folding wings, an engine that is powered by unleaded gas and changes power from the rear prop to the wheels when it lands. Officially called a “roadable aircraft,” users would not need to have an FAA sports license in order to fly one. A driver’s license is sufficient to drive it on the road. The one thing is it can only land or take off from an airstrip or airport. The Terrafugia Transition has flown already in several successful tests, but, so far, it hasn’t made it to market. 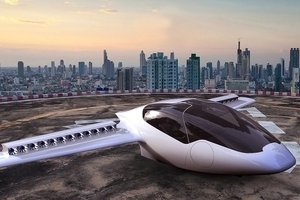 The Skycar is simple to use and is powered by bio-fuel. Made up from an engine with a huge five-bladed propeller fixed to the back of a car that is similar to a dune buggy, the Parajet Skycar also has a large fabric wing that works in the same way as a parasail. In 2009, it achieved international attention when it drove and flew from London to Africa. While the suspension lines and parasail wing fold up to be packed into the trunk of the car, it isn’t an especially comfortable way to travel because of its open-caged design. Uber, the best-known ride-hailing company, has paired up with NASA to develop new systems that will allow management of flights at low altitudes. Or, to put it another way, traffic signals will control flying cars. They are hoping to start testing by 2020, with plans to have airborne rides in place by 2028 for the Olympics in Los Angeles. A new startup called Lilium has a particular interest in flying vehicles, And, thanks to an investment from Chinese Internet company Tencent, the Germany company has now raised another $90 million to continue with its designs. Having already held one test flight for its Eagle two-seater electric jet, which went very successfully, Lilium is just one of the companies looking at bringing in a new era of flying cars that will remind some people of “The Jetsons.” However, Lilium is coming from the angle of focusing on electric jets. Unlike the other models that are being developed and effectively function in a similar way to a hovercraft, its design is supposedly energy-efficient and can land and take off vertically, the same way a helicopter does. 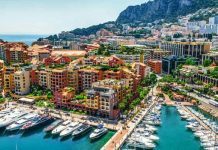 The company is also working on the development of a larger five-seater version, which would serve as an air taxi to ferry either cargo or passengers up to 186 miles at a speed of around 300 kph. The idea is to improve congestion in crowded cities, but it could also have a use in areas that have undeveloped road infrastructures. Based in Slovakia, this startup has promised to start delivery of its flying cars by 2020. However, the design won’t be for everyone. 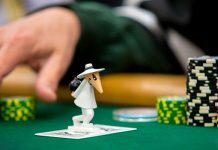 The cost for one of the cars is more than $1 million. 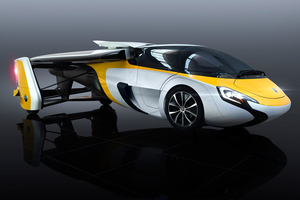 Aeromobil’s vehicle will be capable of flying and driving on roads, although only 500 units will be produced. Able to transform from driving mode to flight mode in under three minutes, it can drive on roads at a maximum speed of 100 mph and is capable of driving as far as 434 miles. It can also fly up to 466 miles, reaching top speeds of 223 mph. A pilot’s license will be required, and runway access will also be necessary. Currently still in the concept stage, Italdesign and Airbus’ modular driverless flying car, known as Pop-Up was unveiled a year ago. This clever capsule can be detached from, or attached to, wheel bases or rotors similar to those used by drones – both electrically operated – depending on the needs of the passenger. It may even be used in conjunction with the Hyperloop system to offer even faster transport. 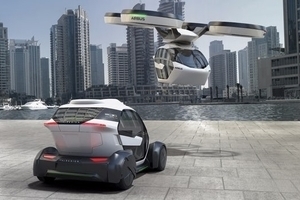 Airbus is hoping that these vehicles could become part of a wide-ranging ride-hailing system, such as Uber, with passengers arranging their rides through an app and the system determining whether air or ground travel would be required depending on price, traffic, and route. After delivering passengers to their destinations, the modules would then return automatically to a recharge station — similar to a robotic vacuum cleaner — before being dispatched to another customer. The vehicle will incorporate AI, as well as an interactive interface module. Tests of the prototype single-seater version is planned in the near future, with a wide rollout by 2021. This two-seated, three-wheeled flying vehicle has been designed by a Dutch company and has actually been released for order. It could even be appearing on roads and in the sky near you by next year. The Pal-V Liberty uses a dual-propulsion Rotax system with a driving engine that can produce 99 bhp, as well as a flying engine that generates 197 bhp. When on the road, its rotor blades pack away neatly on its roof, and it can travel more than 800 miles, with 100 mph as its top speed. However, when you arrive at a glider site or airstrip, you can convert the car into a flying machine — it takes around 10 minutes to unfold its blades, tail, and propeller– and then you can take off. In the air, thrust is supplied by an engine that powers a rear rotor while air movement creates vertical lift, moving the main rotor over the vehicle. It can travel more than 300 miles in the air at a maximum airspeed of 112 mph. On the downside, it’s going to be very costly and you’ll also need a pilot’s license to fly one.